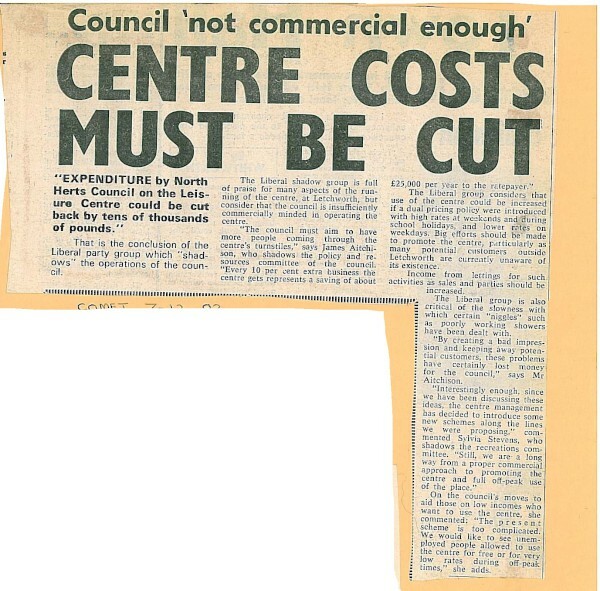 Newspaper cutting: Article regarding a report criticising the Leisure Centre for not being focused enough on increasing business and saying that expenditure could be substantially reduced. Date handwritten below 'COMET 7.12.83'. Attached to Library card.